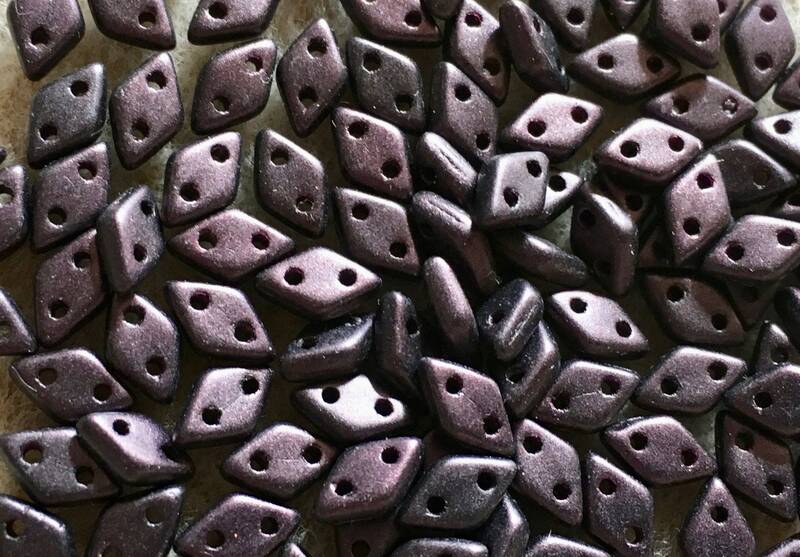 CzechMates Diamond beads are flat diamond shaped with 2 holes. These beads feature uniform hole-spacing, for wonderfully structured 3D beaded designs. Made in Czech Republic. 8.35 grams in a 2 inch tube.